With temperatures expected to exceed 100 degrees in the San Fernando Valley today, the Los Angeles Department of Water and Power (LADWP) urges customers to conserve energy use where possible, while not jeopardizing their health and safety. “During times of extreme heat, we strongly encourage customers to conserve electricity as long as it does not jeopardize their own health or the health of their pets,” General Manager Marcie Edwards said. When upset customers called the utility for help, many languished on hold for a half-hour or more. Nearly two years later, the utility announced Monday that it would credit or refund tens of millions of dollars to customers who were overbilled during the botched rollout, under a proposed class-action lawsuit settlement between the utility and aggrieved customers. In all, the department says it billed $44 million in excessive charges after the system went into effect. DWP Chief Administrative Officer David Wright said the utility has already refunded or credited some of the money, reducing the sum still owed customers to $36 million. Under the settlement, customers who were overbilled will get credit for the excessive charges. If they have closed their accounts, they will be mailed refund checks. The utility says the vast majority of the billing credits and refunds will be small — around $10 or less — but customers will be made whole no matter how small the error. And the money will be returned even if a customer didn’t know there was a mistake. The Los Angeles Department of Water and Power (LADWP) has proposed a 5-year water and power rate action that provides funding to accelerate the replacement of aging infrastructure, better protect against drought conditions, and meet water and power supply mandates while improving customer service. The proposed rates are also designed to further incentivize conservation while keeping LADWP’s rates low in comparison with nearby utilities. Paperless billing is a secure, convenient and environmentally-friendly billing option. Once enrolled, customers will receive bill notifications via email. This will reduce paper clutter, help decrease the environmental impact from printing paper bills and provide easy access to informative online newsletters. For complete program information and to sign-up to receive the $10 bill credit, please visit www.ladwp.com/paperless. 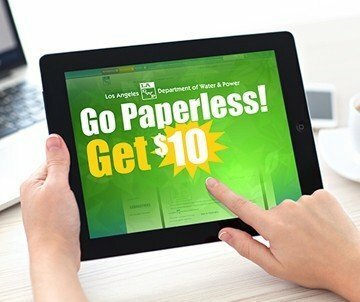 The $10 paperless billing incentive is available through June 30, 2015 to all LADWP customers who currently receive printed LADWP bills. LADWP employees will NEVER ask for personal payment information over the telephone. They will never ask you to purchase pre-paid cash cards from a convenience store to pay your utility bill. Payment by telephone can ONLY happen through the Department’s voice automated payment system, not with live employees. LADWP personnel do not accept payment information verbally over the telephone. If you get a call asking for a cash card or credit card number or other personal financial information, hang up and call LAPD. This CIS platform touches nearly every aspect of utility operations, including customer service, meter reading and billing. It is the heart of our customer service system and used during each customer interaction by phone or online. Over time, this system will help us significantly improve the customer experience. Any time an information system of this size and scope is replaced, issues will arise and need to be addressed within the first 1 to 3 billing cycles. LADWP is currently near the beginning of the 2nd billing cycle. To date, approximately 3% to 5% of our customers have experienced delayed bills and late notices, and incorrectly estimated bills, which has led to periods of excessively long and unacceptable hold times when customers have called to report a problem or ask routine questions about their account. In addition, some commercial and residential solar customers and large multi-facility customers have experienced problems with their bills. While these problems have affected a relatively small percentage of our customers, they have resulted in higher than normal call volumes and these calls have taken longer to resolve than is typically the case, resulting in longer than acceptable hold times for other customers who are trying to get through to an operator. LADWP is fully committed to resolving these issues as quickly as possible. As part of those efforts, next week we expect to begin offering customers a Virtual Hold feature, which will provide customers the option of receiving a call-back, rather than waiting on hold. We are also accelerating efforts to reduce the number of customers receiving inaccurate, late, or delinquent notices. As the system stabilizes over time, we expect the number of issues and customers affected by them to be reduced significantly and ultimately eliminated. For those customers who have experienced exceptionally long hold times, or who have received an incorrect bill, we offer our sincere apologies. Thank you for your patience as we continue to resolve issues that have resulted in our not meeting the highest service standards for every customer. We will continue to provide updates to our customers and stakeholders over the coming weeks as the system continues to stabilize. Use Phone Self-Serve Options: Our 1-800 DIAL DWP phone system provides callers with a variety of self-serve options, including the ability to report outages, make payments, obtain bill-pay extensions, and other services, all without the need to speak to a customer service representative. Use Virtual Hold—If you need to speak to a Customer Service Representative, don’t wait on hold. LADWP is currently testing virtual hold technology and plans to implement it next week to reduce hold times. Virtual hold allows customers to receive a callback at a set time instead of waiting on the line for a representative. Email Us—Email account inquiries to [email protected]. 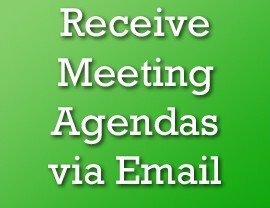 Your concern will be responded to by a representative as quickly as possible and in most cases, within one business day. Call During Off Peak Hours—If possible, call on Saturdays and Sundays between 7am and 10 pm, especially Sundays, as call volumes are typically much lower on the weekends. Go Online—Use the LADWP.com website to: report outages, view the status of existing outages, view account balances and make payments, among other services, without speaking to a representative.